In today’s world where everything is connected, all companies develop software. It is one of the primary mediums by which they strive to provide better products, services and solutions, and has become paramount to a company’s success. To continuously improve their software, companies must have sound DevOps practices in place. Over time, software methodologies have changed: agile has replaced waterfall, cloud providers have replaced server farms, and the next paradigm shift in DevOps is the JFrog Enterprise+ platform. The JFrog Enterprise+ platform is designed to meet the growing needs of companies to develop and distribute software and provides DevOps with the tools needed to create, manage and deploy software with ease. Following, are the components of the platform. JFROG MISSION CONTROL is a single access points for managing all JFrog services and CI servers in your global DevOps tool chain. 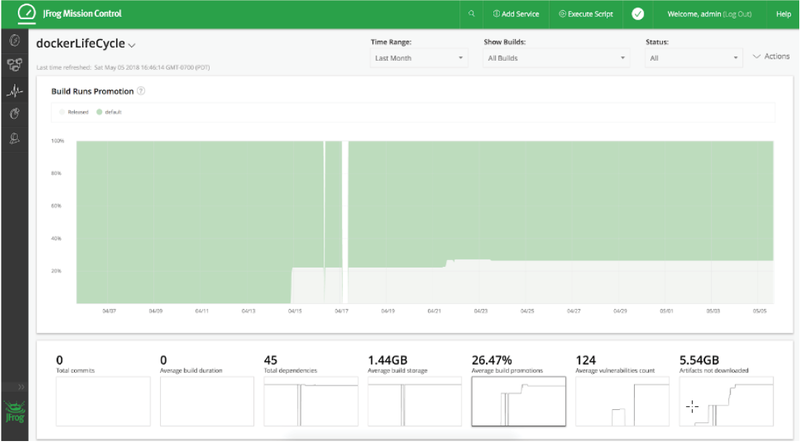 JFrog Insight is a new DevOps analytics engine added to JFrog Mission Control as a part of the Enterprise+ Platform to measure, analyze and optimize your distribution flow. JFROG ARTIFACTORY, the mothership of Enterprise+, is a scalable universal binary repository manager that automatically manages your artifacts and dependencies through the application development and delivery process. JFROG XRAY increases trust in your software releases by providing automated and continuous governance and auditing of software artifacts and dependencies throughout the software development lifecycle – from development, through testing, and to production. JFROG DISTRIBUTION is an on-premise tool that lets you orchestrate software distribution between two Artifactory instances or from Artifactory out to multiple Artifactory Edge nodes. JFROG ARTIFACTORY EDGE is a specialized version of Artifactory with the single purpose of delivering the contents of a release bundle directly to a consumer, and will therefore, be installed as geographically close to the compute edge as possible. JFROG ACCESS provides a common authentication and authorization infrastructure for all JFrog products to manage security entities. With the launch of JFrog Enterprise+, JFrog Access can be used to federate different JFrog services into a single “circle of trust enabling single-sign-on. The JFrog Enterprise+ platform enables software teams to collaborate across the globe through all phases of the development cycle. Artifactory stores and manages binaries throughout the development cycle. Through its replication capabilities it keeps international teams on equal ground with the exact same components and dependencies. Xray deep-scans all components, builds and dependencies providing policy violation alerts based on a wide variety of parameters. JFrog Distribution collects builds and their associated components into release bundles and distributes them to other Artifactory instances, or to multiple Edge nodes at a time. And you can manage and monitor the complete flow through Mission Control, using Insight to measure, monitor and continuously improve the pipeline while JFrog Access federates different services to enable single-sign-on. JFrog Enterprise+ and its individual components can help build a system from scratch, or retrofit existing infrastructure to meet your current and future DevOps needs. PLAN FOR SUCCESS: Planning is an essential part of building a highly performant CI/CD pipeline. With companies spreading out their resources globally, the complete DevOps process may run through multiple geographically distant data centers over different cloud providers. JFrog Mission Control makes it easy to implement any plan for replication, distribution and deployment of your binaries through the Enterprise+ platform. SECURE YOUR SUCCESS: JFrog Xray offers a much easier way to protect your code at every stage of the development cycle, and with JFrog Enterprise+, Xray can be installed in a high availability configuration to meet the highest demands for scale, stability and performance. DELIVER SUCCESSFULLY: Your DevOps tool chain cannot end until your software is in the right place, ready for consumption by data centers, devices, points of sale etc., JFrog Distribution together with Artifactory Edge nodes ensure your software releases are where they need to be, anywhere in the world. ANALYZE AND ADJUST FOR CONTINUOUS SUCCESS: JFrog Insight, in Mission Control, is the key to an optimal CI/CD pipeline. It can be your daily dashboard where DevOps administrators monitor the pipeline, view peaks of activity, detect bottlenecks and tweak systems to optimal performance. A solid DevOps foundation is essential to a company’s success and this is provided by the different components of the JFrog Enterprise+ platform. Once DevOps is under control, an organization can focus on the innovation that drives its business without having to worry about infrastructure. JFrog Enterprise+ lets you take control of DevOps. In today’s world where everything is connected, all companies are software companies. Whether they manufacture refrigerators or medical devices or offer one of the many online services we all use to connect with our family, friends and business associates, the one component they all have in common is software. And software is one of the primary mediums by which companies strive to meet the constant need for better products, services and solutions. Providing a constant flow of better software anywhere on the planet has become paramount to a company’s success. A company’s software must continuously improve in terms of software quality, consistency, security and global reach. To meet that challenge, companies must have sound DevOps practices in place. While some have built up their software development organizations with DevOps in mind, others are struggling to retool their infrastructure to meet the ever-growing demand for better software. Over time, the methodologies of software development have changed. The “Waterfall” paradigm has been mostly replaced by “Agile,” and data centers filled with complex servers that are hard to maintain have been replaced with services hosted with cloud providers that can scale on demand using tools and technologies such as Kubernetes. This white paper will discuss the next paradigm shift in DevOps, The JFrog Enterprise+ platform. The software industry is undergoing a transformation in which release cycles keep getting shorter, and software updates are getting smaller and more frequent. JFrog envisions that companies will eventually transition from periodically transferring packages to continuously transferring micro-deltas of software. This is the liquid software revolution of continuous updates, and it is this vision that drives JFrog’s design and implementation of the Enterprise+ platform. 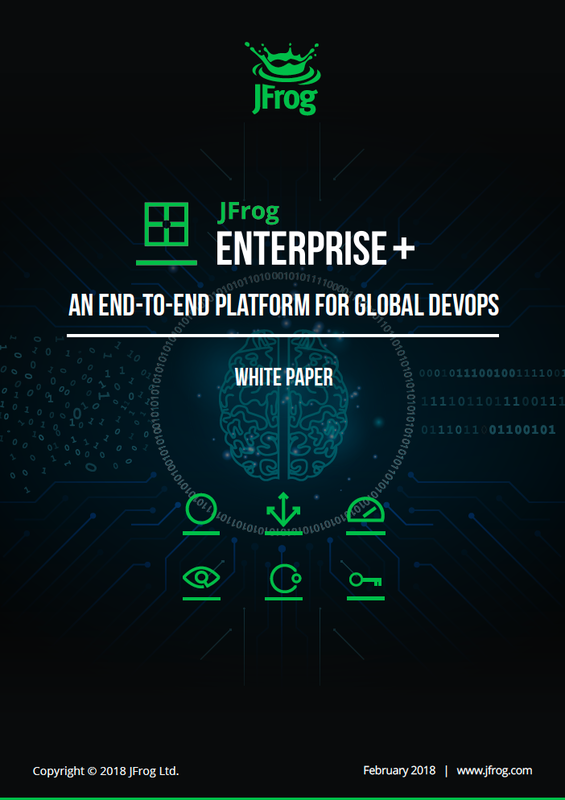 The JFrog Enterprise+ platform is designed to meet the growing needs of companies to develop and distribute software and provides DevOps with the tools needed to create, manage and deploy software with ease. These tools cover everything from binary management, artifact maturity, security and vulnerability protection, release management and analytics and distribution. In the next sections we will briefly describe each component of JFrog Enterprise+, and then show how they work together to construct a coherent, efficient and successful DevOps toolchain to get your software from developers’ fingertips out to endpoint computers and devices. 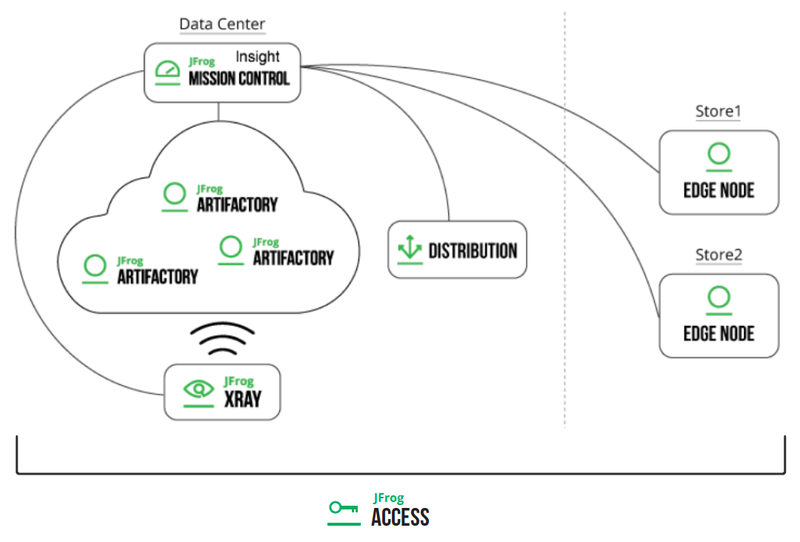 JFrog Mission Control has been established as a single access point for managing all JFrog Artifactory and JFrog Xray services under your administrative control, whether installed on-site or at remote geographical locations. As part of the Enterprise+ platform, Mission Control’s capabilities have been enhanced to allow full control over additional services: Jenkins CI (with additional CI servers to be added in the future), JFrog Distribution and JFrog Artifactory Edge nodes. Artifactory is the mothership of the Enterprise+ platform. As a scalable, universal, binary repository manager that automatically manages your artifacts and dependencies through the application development and delivery process, it plays a central role in your DevOps ecosystem in general and in JFrog Enterprise+ in particular. Through a highly available clustered solution and a variety of multi-site replication capabilities, it provides consistent and reliable access to your artifacts globally. With a powerful REST API and integration into any CI/CD ecosystem, Artifactory empowers you to release software faster with a fully automated CI/CD pipeline. One of the enhancements to Artifactory in JFrog Enterprise+ is a new optimized replication algorithm. Replication is used in a variety of use cases to synchronize repositories between remote Artifactory instances. Depending on repository size this may require the transportation of huge quantities of data. Since the speed of transportation is limited by bandwidth and network latency, this is a process that may take hours and even days to complete. The new replication algorithm optimizes replication when distributing software with JFrog Distribution, dramatically reducing the load on the network and the time taken to synchronize release bundles from a source Artifactory instance to target instance or a set of Edge node. JFrog Xray increases trust in your software releases by providing automated and continuous governance and auditing of software artifacts and dependencies throughout the software development lifecycle – from development, through testing, and to production. As scanning for security vulnerabilities and license violations has become a critical step in any DevSecOps organization, Xray reinforces security standards through deep recursive scanning of artifacts to provide impact analysis and protection from vulnerabilities. As a sentinel guarding software security, Xray is a mission-critical part of your DevSecOps toolchain. As part of JFrog Enterprise+, Xray can be installed as a high availability cluster with multiple active/active nodes. If any node becomes unavailable, the cluster automatically distributes the workload between the remaining nodes thereby providing unparalleled stability and reliability. JFrog Distribution is an on-premise tool that lets you orchestrate software distribution between two Artifactory instances or from Artifactory out to multiple Artifactory Edge nodes. Release bundles are central to the activities of JFrog Distribution. A release bundle is a new metadata format that groups together the different files and packages that make up a release into a single traceable bundle and provides the corresponding bill of materials for that release. For example, you can group the different build artifacts, such as Docker images, associated tools, documentation and other assets, that make up a release that should be pushed out to an Artifactory Edge node and finally on to your point of sale devices. Release bundles are secure and immutable to ensure they cannot be manipulated by unauthorized individuals. JFrog Distribution uses proprietary technology to reliably and optimally distribute release bundles to multiple remote locations and update them as new release versions are produced. As part of the release flow, release bundles are verified by the source destination to ensure that they are signed correctly and safe to use. By optimizing replication between source and target Artifactory instances (or Artifactory Edge nodes), JFrog Distribution makes efficient use of the network dramatically reducing network load and release bundle synchronization time. For auditing and traceability, Distribution also tracks all changes made in release bundles across different versions. A JFrog Artifactory Edge node is a specialized version of Artifactory with the single purpose of delivering the contents of a release bundle directly to a consumer, and will therefore, be installed as geographically close to the compute edge as possible – whether the final destination of the release is a device, another computer or a point of sale terminal. An Edge node is installed just like any other Artifactory instance, supports the same databases, and can be run in an HA configuration, but is built especially to handle immutable release bundles. You cannot, therefore, just upload software to an Edge node in the same way you upload to a full Artifactory instance. You can only transfer software (release bundles) through JFrog Distribution, which ensures that all the required certification is in place to validate the source and integrity of the release bundles that are uploaded. JFrog Access provides a common authentication and authorization infrastructure for all of JFrog products to manage users, groups, permissions and tokens, as well as support for LDAP, SAML and OAuth. While not a separate product, Access is installed together with Artifactory and runs as a separate service under the same Tomcat. With the launch of JFrog Enterprise+, different Access services can be federated into a single “circle of trust.” This lets you synchronize users, groups and permissions between sites rather than having to define them separately, and enables single-sign-on for all JFrog services connected to any Access service within the circle of trust, resolving the need to login to each product separately. Together with advanced capabilities for replication across multi-site topologies, this provides a complete solution for global artifact management. Much of DevOps (or DevSecOps when security is planned as an integral part of the flow) focuses on automation, software process, infrastructure, testing, security and deployment. While there are many tools to manage each of these tasks, they are mostly point solutions, and the question remains, “what happens between these stages of the DevOps flow?” This is where the JFrog Platform comes in to fill the gaps letting you lay down a solid DevOps foundation so you can innovate more and worry less. 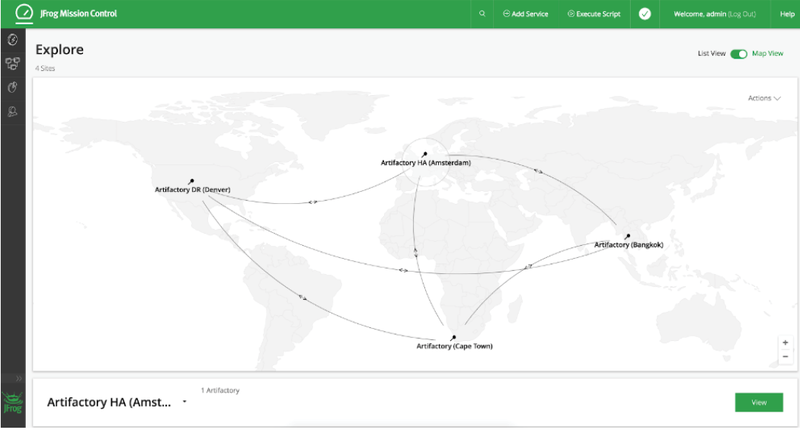 Using the JFrog Platform to manage binaries in the DevOps flow enables software teams (along with their respective CI servers) to collaborate across the four corners of the globe, if necessary, with the same coherent and consistent set of binaries and dependencies through all phases of the development cycle. As soon as a developer downloads an external library, or a Docker base image, using Artifactory to cache the component along with all of its dependencies, and replicating them to all relevant teams puts everyone (and all CI servers) on equal ground. With all environments using the same exact components, no developer can ever use the lame old excuse of “But it works on my machine,” again. By having JFrog Xray (in a high availability configuration for stability and reliability) connected to Artifactory, all those external libraries, as well as internal builds and all the ensuing dependencies are deep-scanned for vulnerabilities. Through Xray’s flexible “Watches” you can configure policy violations to be triggered, based on a wide range of parameters, as early on as in the developer’s IDE, stop a CI build process, or even get notified about newly discovered vulnerabilities in components that have already been deployed to production systems. Once your builds have passed Xray, you can store them in Artifactory along with exhaustive build information for full traceability. Then, JFrog Distribution can collect your builds and associated components into release bundles and have them replicated to Artifactory Edge nodes for finally delivery to the compute edge. Throughout this process, on a daily basis, you can use the Insight feature of JFrog Mission Control to monitor and continuously optimize the whole pipeline into peak performance. And with all the components federated into the same circle of trust, you will be able to access them all with single-sign-on provided by Access. There are different ways that JFrog Enterprise+ can help your organization. 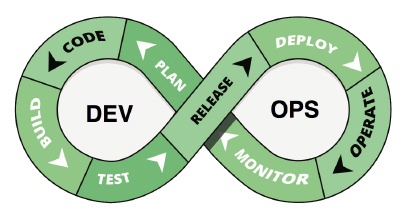 There is no one “perfect” DevOps solution that fits all. It is incumbent on DevOps practitioners to closely examine their systems and customize them with the tooling that builds the best foundation for their business needs so that everyone can concentrate on process and innovation. The following sections show how the flexibility of JFrog Enterprise+ and its individual components can help build a system from scratch, or retrofit existing infrastructure to meet your current and future DevOps needs. Planning is an essential part of building a highly performant CI/CD pipeline. Responsible organizations will invest the time and resources to plan parameters such as timelines, features, GitHub repositories, testing, security reviews and deployment to name a few. Each team in the process builds on libraries built by other teams and using JFrog Enterprise+ ensures consistency throughout the pipeline from developer through to the Edge nodes where you host your service. Replication is a key factor to keeping teams synchronized. With companies spreading out their resources globally, the complete DevOps process may run through multiple geographically distant data centers over different cloud providers. The enterprise-grade replication capabilities in Artifactory can accommodate any plan for sharing binary resources across the globe. And using its built-in Groovy-based scripting language JFrog Mission Control makes it easy to implement any plan for replication, distribution and deployment of your binaries through the Enterprise+ platform. Cybercrime is booming, and a malware attack can cost an organization hundreds of millions of dollars to remediate. Responsible organizations must take exhaustive measures to protect their software. Some software organizations use source code scanners or peer review, but these methods have nothing to say about dependencies that developers use. 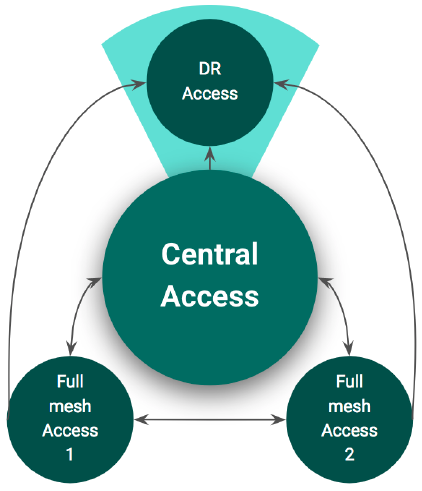 Some companies will block external dependencies by using an “air gap,” disconnecting their network from the internet, but this makes the whole CI/CD cycle cumbersome, tedious and costly. JFrog Xray offers a much easier way to protect your code at every stage of the development cycle, and with JFrog Enterprise+, Xray can be installed in a high availability configuration to meet the highest demands for scale, stability and performance. Through the JFrog IDE plugin, Xray flags dependencies with vulnerabilities right at the developer’s fingertips, before any affected code even gets into the CI/CD cycle. Once code gets pushed to Artifactory, it is scanned and indexed, along with any ensuing dependencies, and if vulnerabilities are detected at that stage, the affected components can be blocked for download. Similarly, once in the CI/CD pipeline, builds can be forced to fail as soon as vulnerable artifacts are detected. Xray has every stage of the pipeline covered. But blocking downloads or flagging an infected component is not enough. Finding infected dependencies and then determining which components in an organization are using them, directly or indirectly, can be costly and time-consuming. But Xray has this covered too. Through recursive scanning, Xray can detect vulnerabilities hidden deep in a component’s dependency chain, and then perform an “impact analysis” to create a graph showing every component in the organization that is affected by that vulnerability. Once impact analysis is complete and the component graph stored, determining the impact of new vulnerabilities can be determined very quickly by traversing the component graph. Your DevOps tool chain cannot end until your software is in the right place, ready for consumption by data centers, devices, points of sale etc., JFrog Distribution together with Artifactory Edge nodes ensure your software releases are where they need to be, anywhere in the world. As a simple example, consider another common trend in DevOps, Microservices. You can run your CI system to build your Docker images and store them in Artifactory as your secure, private Docker registry. You promote your Docker images through the different gates as its quality gets verified until it reaches your “Production” Docker registry. JFrog Distribution can then replicate your certified Docker image, along with its corresponding Helm chart (stored in an Artifactory Helm repository) and any other artifacts that comprise a “release” to an Artifactory Edge node that is located near the Kubernetes cluster that your release is destined for. Once your Docker image, its Helm chart and any other associated artifacts are on the Edge node, your release is ready for deployment to Kubernetes. JFrog Insight, in Mission Control, is the key to an optimal CI/CD pipeline. It can be a daily dashboard where DevOps administrators monitor the pipeline, view peaks of activity, detect bottlenecks and tweak systems to optimal performance. In the world of “Release Fast or Die,” gaining deep insight the behavior of a pipeline to refine can be key to increasing ROI. 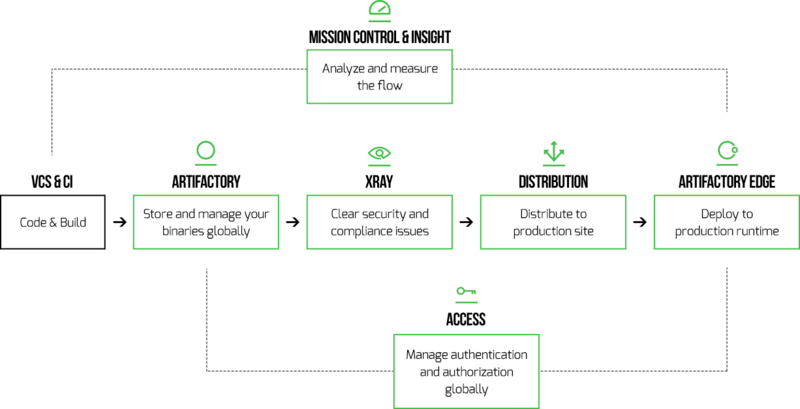 A solid DevOps foundation is essential to a company’s success and this is provided by the different components of the JFrog Enterprise+ platform. JFrog Artifactory, managing all of an organization’s binaries, facilitates short release cycles. JFrog Xray ensures the safety and security of software components in a release. JFrog Distribution and Artifactory Edge nodes allow the efficient transfer of releases directly to the compute edge for deployment, and JFrog Mission Control together with Insight, manage, monitor, configure and adjust the complete tool chain for optimal performance. Once DevOps is under control, an organization can focus on the innovation that drives its business without having to worry about infrastructure. JFrog Enterprise+ lets you take control of DevOps.